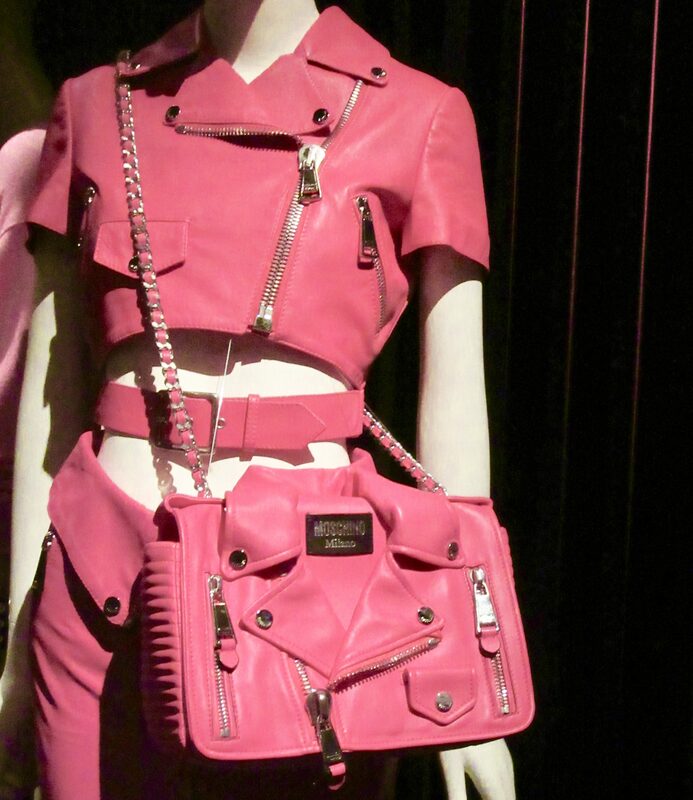 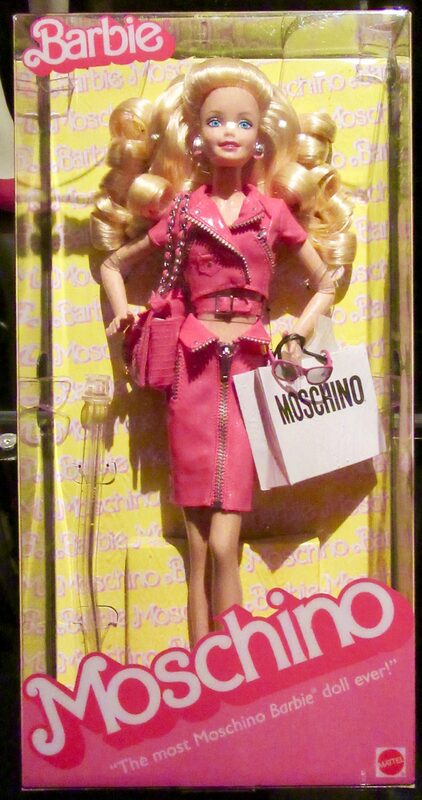 Pink Thing of The Day: Moschino Barbie! 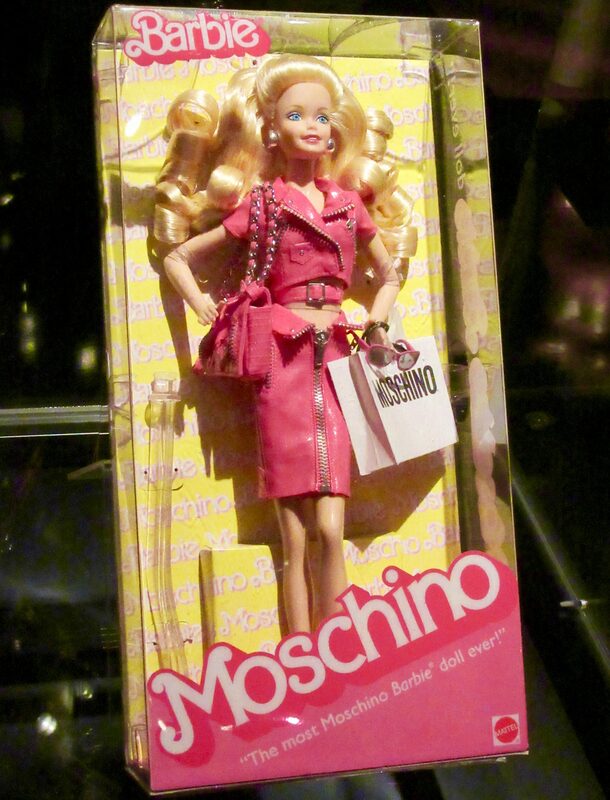 Mattel launched the Barbie doll in 1959, but it was only in the late 1970s and 1980s that much of her wardrobe became a bright pink, known as “Barbie Pink.” Jeremy Scott of Moschino collaborated with Mattel on this Moschino Barbie (whose outfit is copied in fine detail from the pink leather ensemble seen below) that was available to purchase in the spring and summer of 2015. 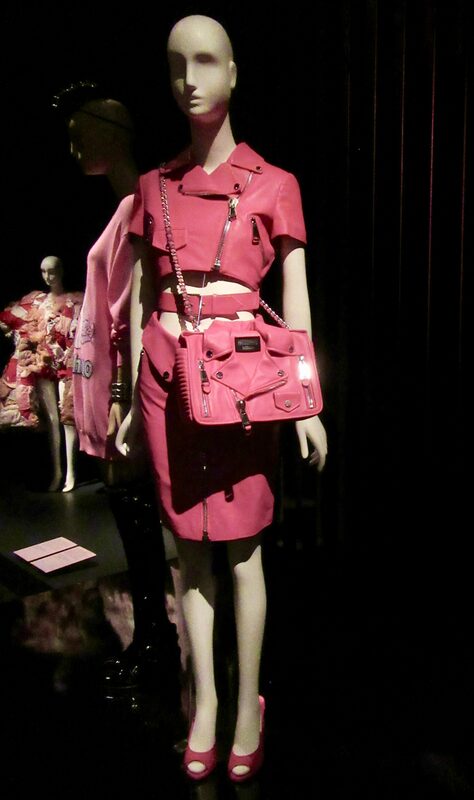 Both the doll and the outfit above were photographed as part of the exhibit Pink: The History of a Punk, Pretty, Powerful Color, on view at The Museum at FIT in NYC Through January 5th, 2019. 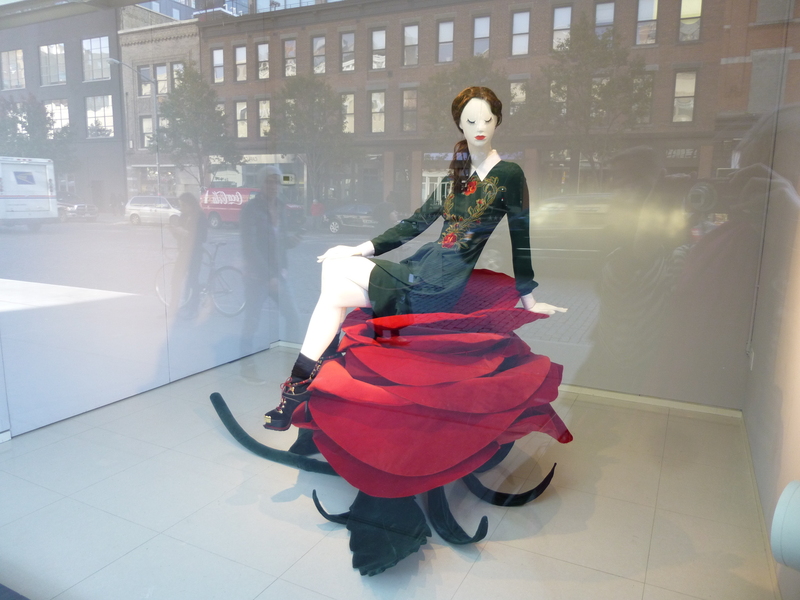 Photograph of the Window Display at the Moschino Boutique, located at 401 West 14th Street in Manhattan.